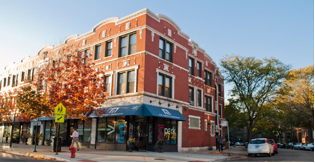 Windy City Mechanical, Inc. is proud to serve the Hyde Park community! About Hyde Park, IL - Happy to be your hometown Heating & Air Conditioning Contractor! Hyde Park is a community area and neighborhood found on Chicago’s South Side. It is situated along the shore of Lake Michigan approximately seven miles south of the Chicago Loop. Its official boundaries include Washington Park, Lake Michigan, the Midway Plaisance, and Hyde Park Boulevard. Hyde Park is home to the University of Chicago as well as the Chicago Theological Seminary, the McCormick Theological Seminary, and the Lutheran School of Theology at Chicago. Notable Hyde Park residents have included boxer Muhammad Ali, Hugh Hefner, President Barack Obama, and retailer Marshall Field. Hyde Park is home to a variety of unique attractions and areas of interest. There are several museums located in this Chicago neighborhood, including the DuSable Museum of African American History, the Museum of Science and Industry, and the Hyde Park Art Center. Shopping is popular here, with 53rd Street serving as the neighborhood’s oldest shopping district. Additionally, outdoor recreation is also available at Jackson Park and Promontory Point, which offers amazing views of the Chicago skyline. Summer. The summer months tend to be hot and humid, with average highs reaching the mid-70s. However, there are several weeks per season in which thermostat readings reach 90 degrees or higher. Autumn. In some cases, the extreme summer heat can persist into the fall season, but in other cases, temperature can drop to below freeing as early as late-September. Winter. Winters in the area are variable with cold weather and snowfall totals that fluctuate from year to year. The community does see severe weather and periodic blizzard conditions. Spring. Spring in the city tends to be the wettest of the four seasons, with thunderstorms becoming especially prevalent. However, temperatures are generally quite comfortable. Given the varied weather conditions of the community, Hyde Park residents are smart to invest in climate control systems to keep their families safe throughout the year.